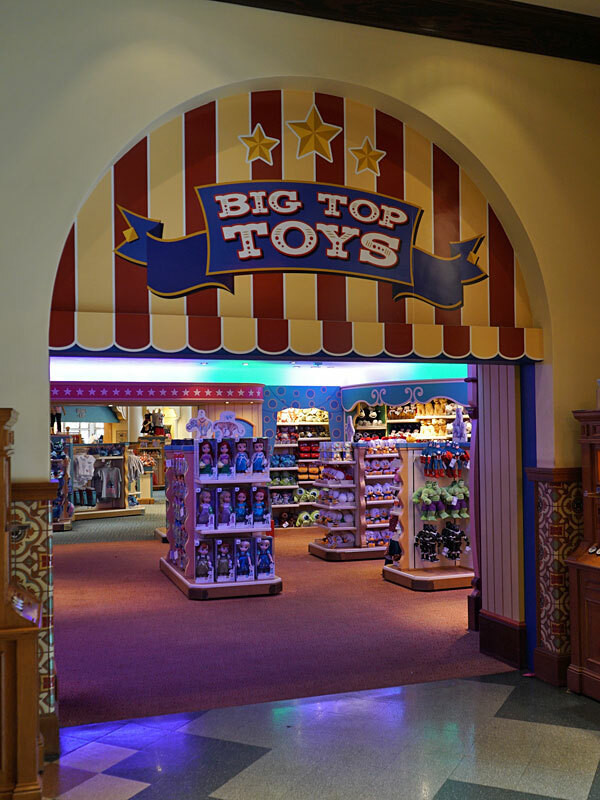 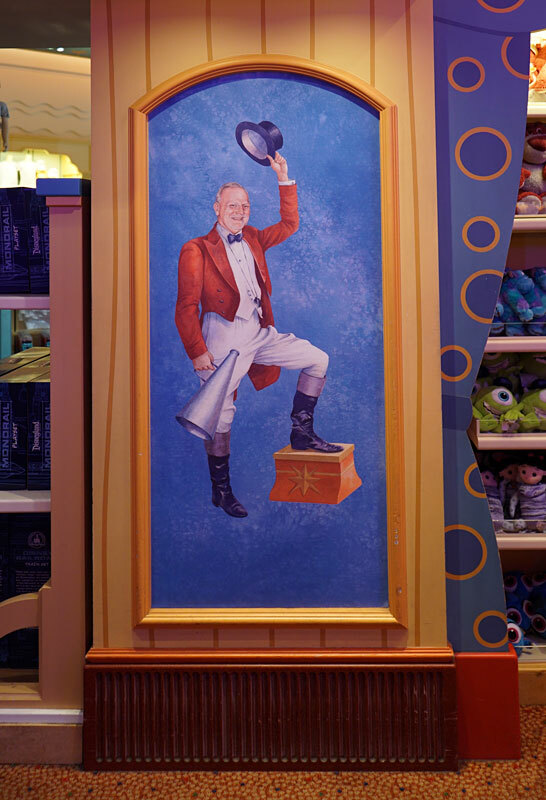 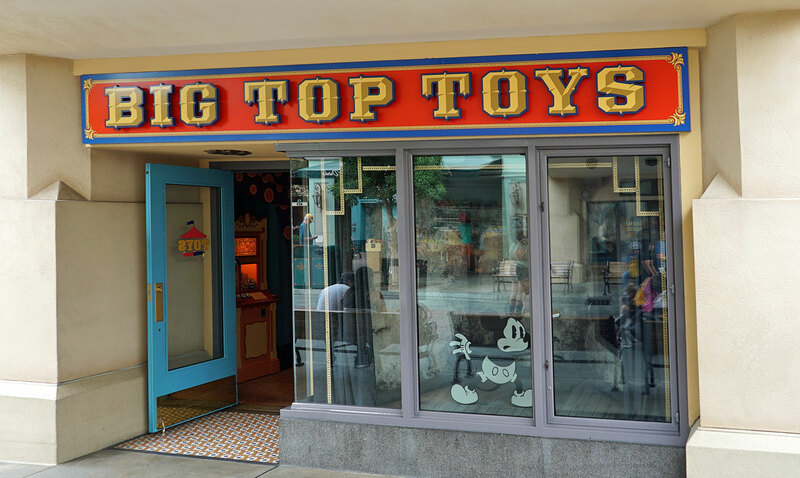 Big Top Toys is located on Buena Vista Street. 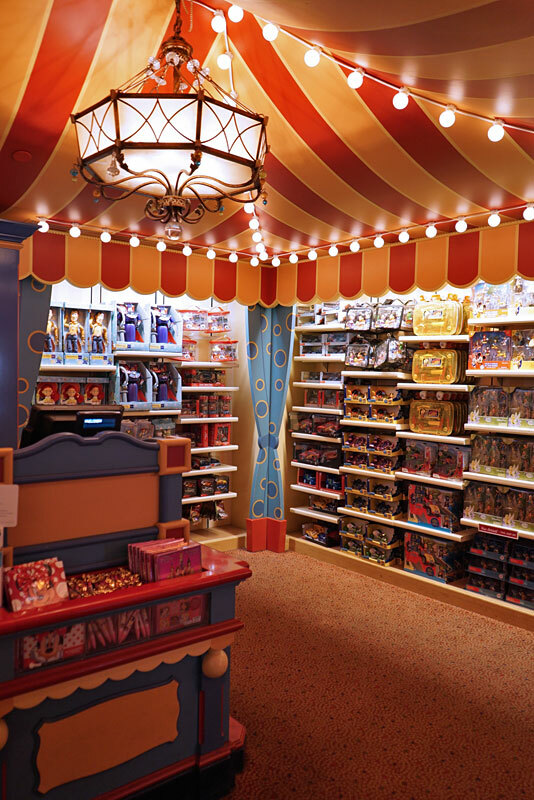 The shop's design is based off of Disney's animated classic film, Dumbo. 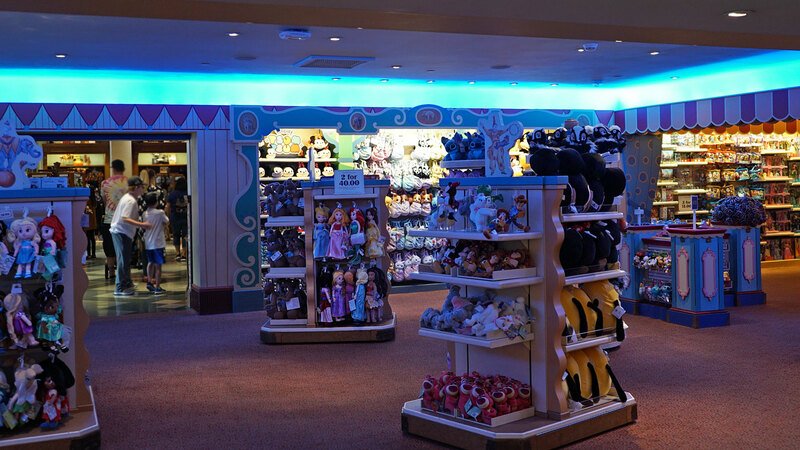 The shop is sandwiched between the Los Feliz Five & Dime and the Elias & Company department store, so most guests will enter through either of these shops. 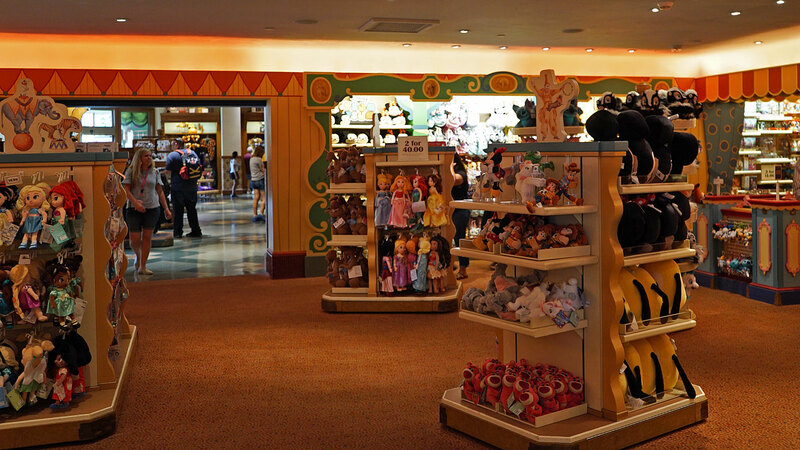 There is also this small exterior entrance below the Hyperion Bridge. 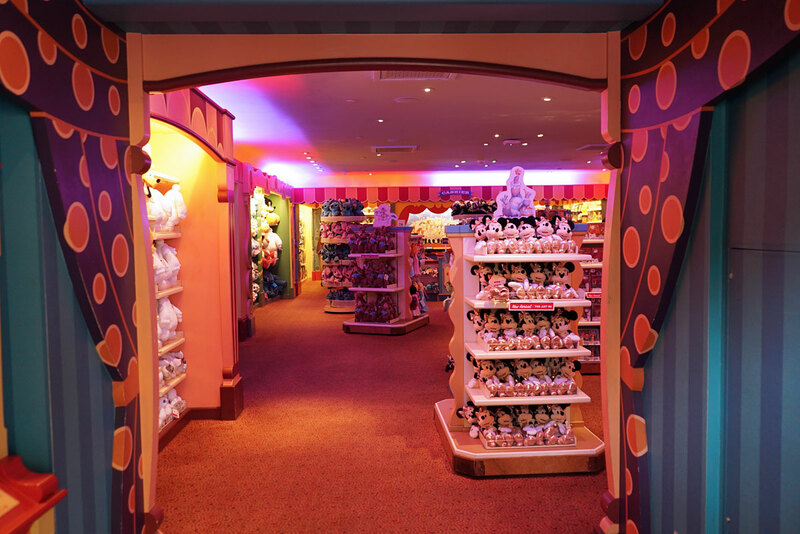 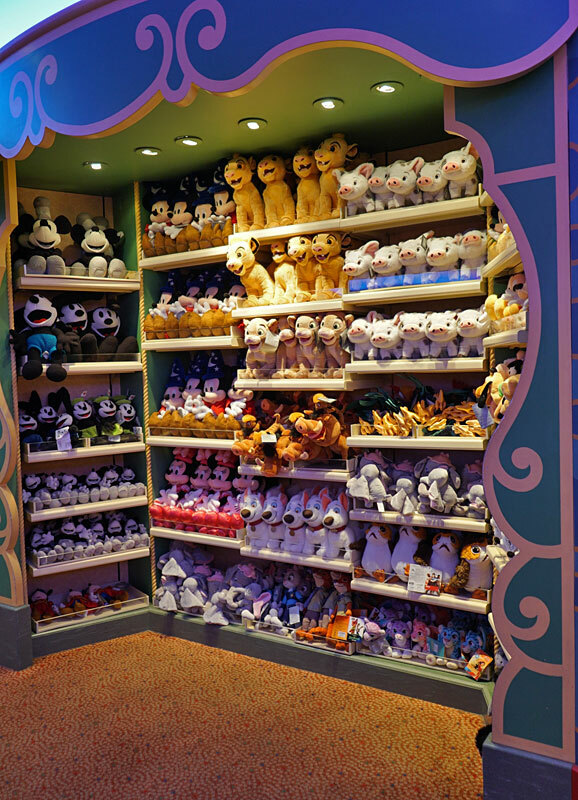 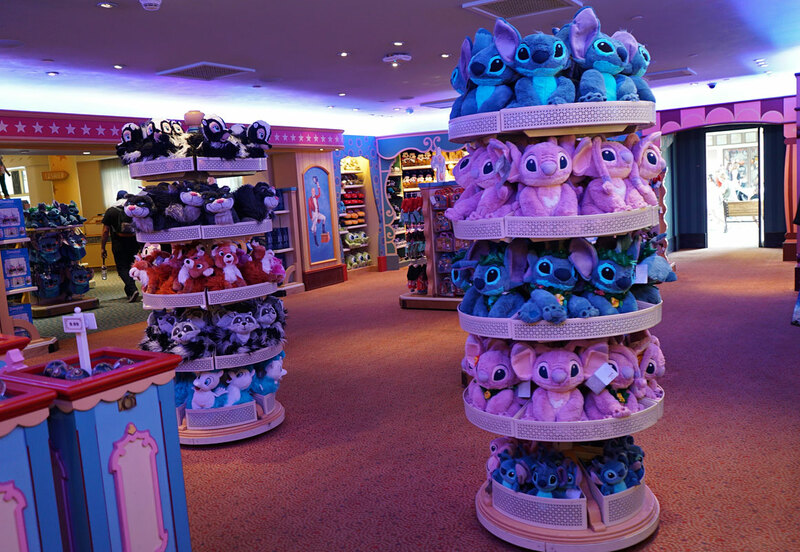 The shop features a variety of toys and games, but specializes in Disney plush toys. 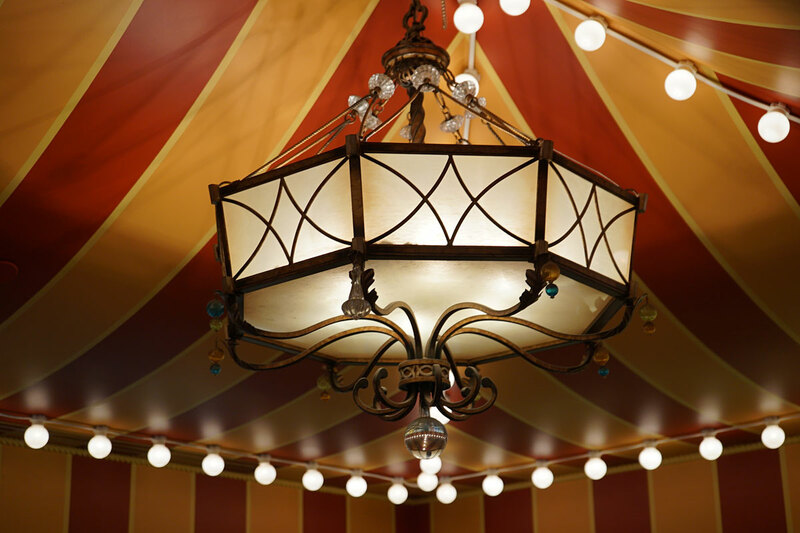 ...to orange ...and everything in between. 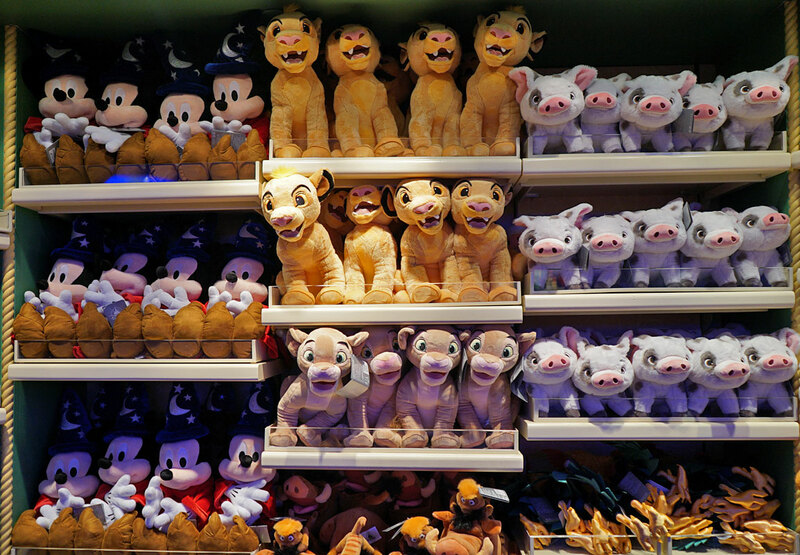 If you like Disney plush toys, this is the place to shop. 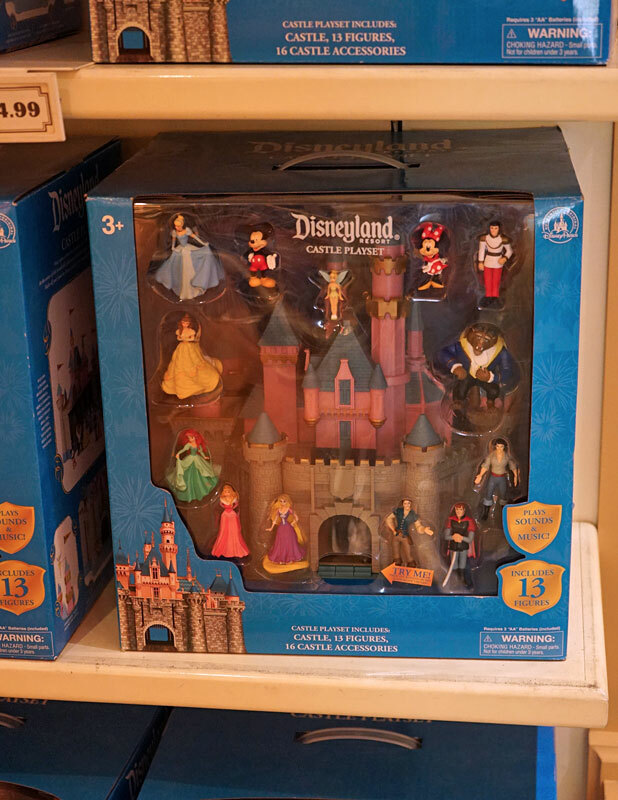 There are other types of toys for sale here, like this Disneyland Castle Playset. 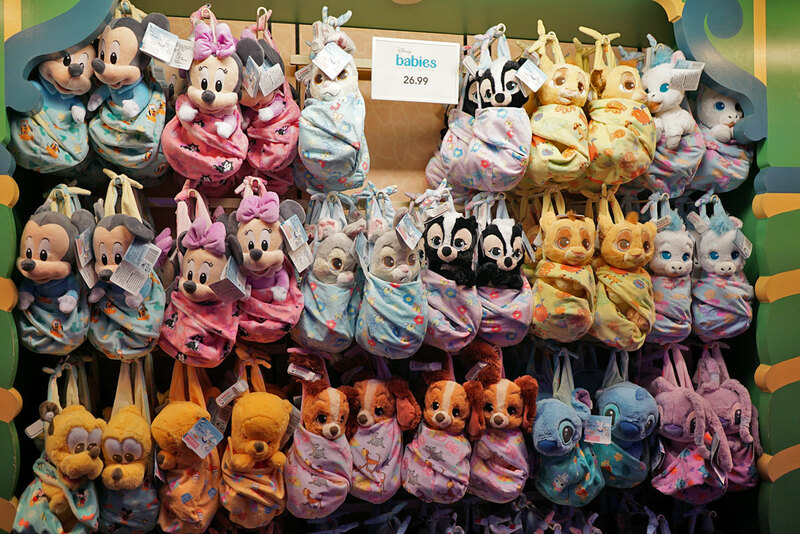 Disney Babies is a popular line of plushies. 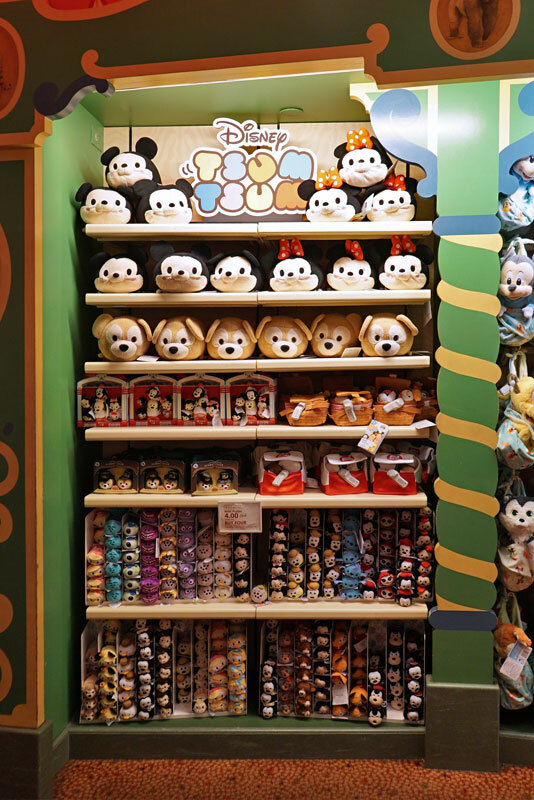 Fairly new is the Disney Tsum Tsum brand, a popular Japanese line of collectible stuffed toys. 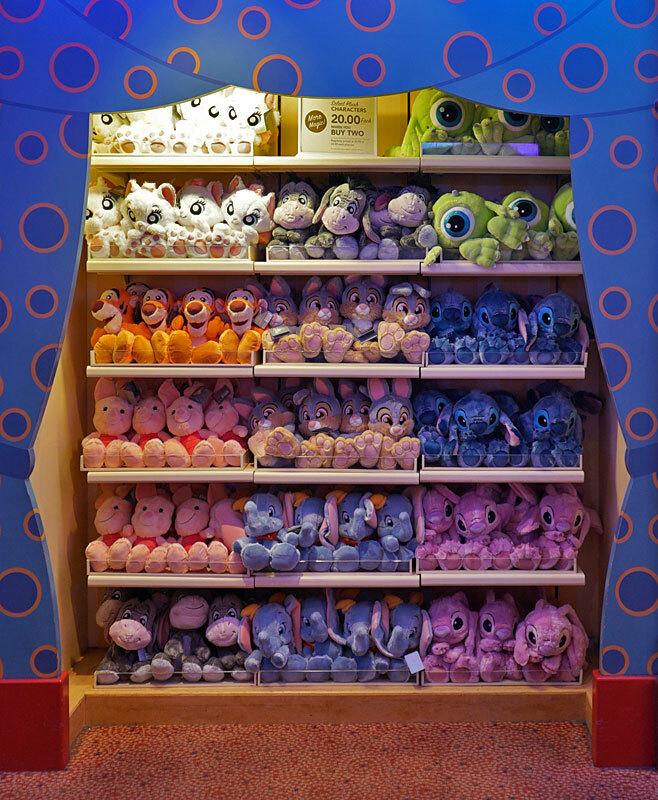 Tsum Tsums are designed to stack on top of each other, forming a pyramid shape. 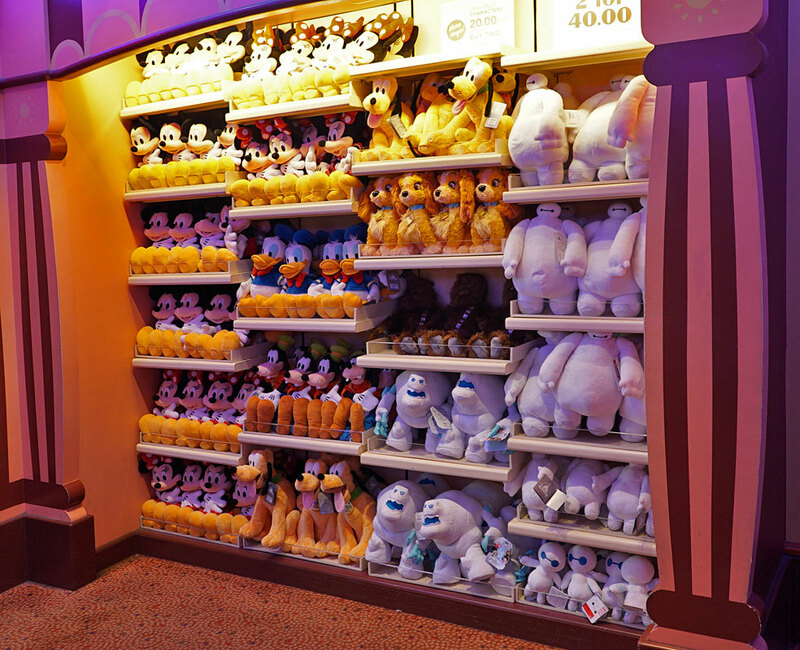 So you can't buy just one. 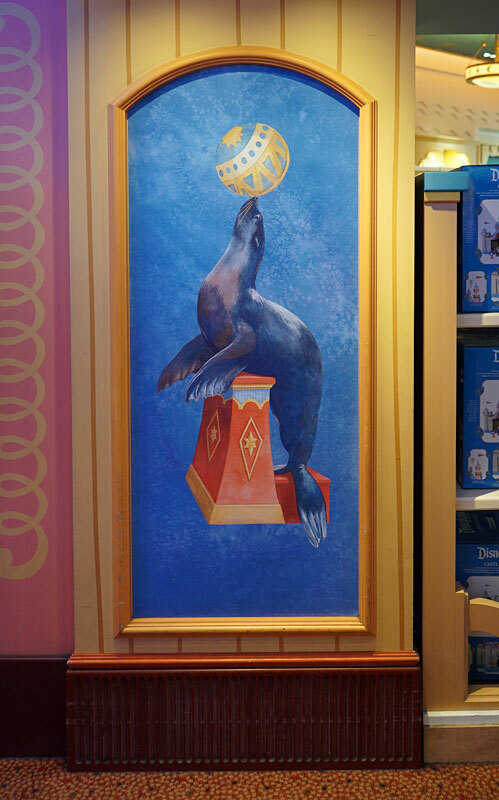 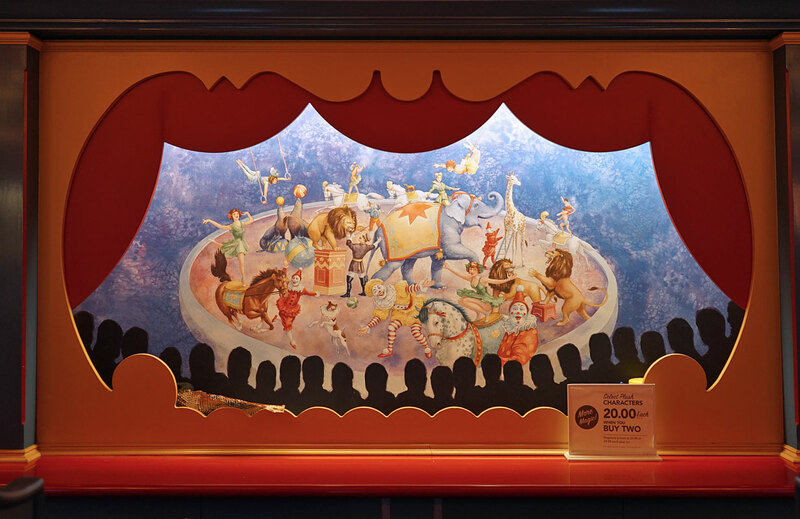 The shop is decorated in a circus theme, with lots of circus-themed artwork on display.